...she keeps her heart "clean" for Christ so that what flows out of her mouth is most pleasing to the Lord (Matt 15:18-20; Ps 19:14, Eph 4:29-32). We women "open our mouths" not just with our physical mouths, but also with our pens and keyboards. And too often, we "show partiality" as we ought not. We pay attention only to those we think "love" us just because they serve us and make us feel good. We don't tend to care very much if what others say are from God's Word (Ps 19:7), His wisdom (James 3:17) or that the teaching of God's kindness is on our tongues (1 John 3:18). Too often, we only keep close company with those whose words soothe our flesh and boosts our already overweening egos (2 Tim 4:3-4). So what's a girl to do? Cry out to Jesus for help! "No temptation has overtaken you that is not common to man. God is faithful, and He will not let you be tempted beyond your ability [in Christ], but with the temptation He will also provide the Way of escape, that you may be able to endure it...For we do not have a high priest who is unable to sympathize with our weaknesses, but one who in every respect has been tempted as we are, yet without sin. Let us then with confidence draw near to the throne of grace, that we may receive mercy and find grace to help in time of need." Do I prefer those who will openly and lovingly rebuke, wound and sharpen me with God's Word (Prov 27:5, 17)? Do I trust, appreciate and prefer those who exhort me (through speech and by their living), to travel the narrow road (Ps 1:1-3)? Or do I prefer, respect and give honor to those who lavish me with "kisses" that make you feel good but does nothing to inspire me to do good (Prov 27:6, James 1:22)? Often, our husbands are the ones whom God uses to do all these things. And deep down, we all know it, so what do we do? We hide things from them so they can't lead, rebuke, hold us accountable and "sharpen" us. 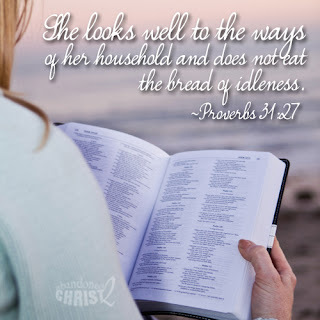 Instead of biblically submitting under our husband's God-given headship, and openly and honestly seek their wise counsel 1; we gossip and chatter with girlfriends who'll do nothing but feed and nurture our Eve-complex rather than encourage us to live as daughters of Sarah (1 Peter 3:6). Since I'm guilty of having done these things (because who doesn't like to have their ego stroked? ), to keep me from continuing in this sin, I tell my darling husband everything regarding my relationships with: our sons, friends, co-workers and anybody I come in contact with and especially how I'm doing with my relationship with the Lord. Now that I've openly shared the depths of my heart with you, it's your turn. Ask yourselves the same questions (above) that I ask myself. God says true friends will love us enough to give us His truth fully aware that we may lash back in anger or give them the silent treatment. Those who truly love you will always sacrifice themselves and subject themselves to your abuse—all for your eternal good. Remember that, and take time today to thank your husband (if you're married) or your friends who express God's love to you. If you've returned their kindness with unkindness, be a big girl...confess your sins and ask them for forgiveness. 1 Note: None of our husbands are perfect and give wise counsel all the time. Only Christ the Lord is perfect and is able to do that. However, God commanded and has provided protection and blessing (1 Pet 3:1-2, 4. 6) for all His girls who choose to be strong and courageous enough to submit to their husbands in everything ﻿as unto the Lord (Eph 5:24). 2 Caution: If you are married, do not engage in deep spiritual or emotional conversations with any man but your husband (whether a pastor, family member, childhood friend, co-worker, etc.). Doing this will damage the sacred intimacy God has granted only between a husband and his wife. No matter how hard you try, you will disobey God by disrespecting your husband (Eph 5:33).